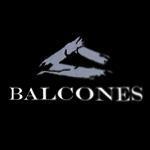 I'm writing from Balcones Distilling in Waco, TX and we're looking at getting into selling new-make to DSP's that are either getting off the ground or in need of more capacity. We don't have any interest in selling aged stock at the moment, but would rather like to work with distillers or aspiring distillers to help them create their own unique product. I will say, we're probably not a producer for everyone. What we make is a very different liquid than what's available from the "big boys" in that we're offering customizability of mashbill and because we operate 100% on Pot Distillation. For folks who are less familiar with Pot Distillation, it is the "old world" method of distillation that results in a rich/viscous mouthfeel that isn't achievable with modern column distillation. We can make Whisky/Whiskey and for the right volume are willing to produce Rum but will not be producing anything else at the moment.